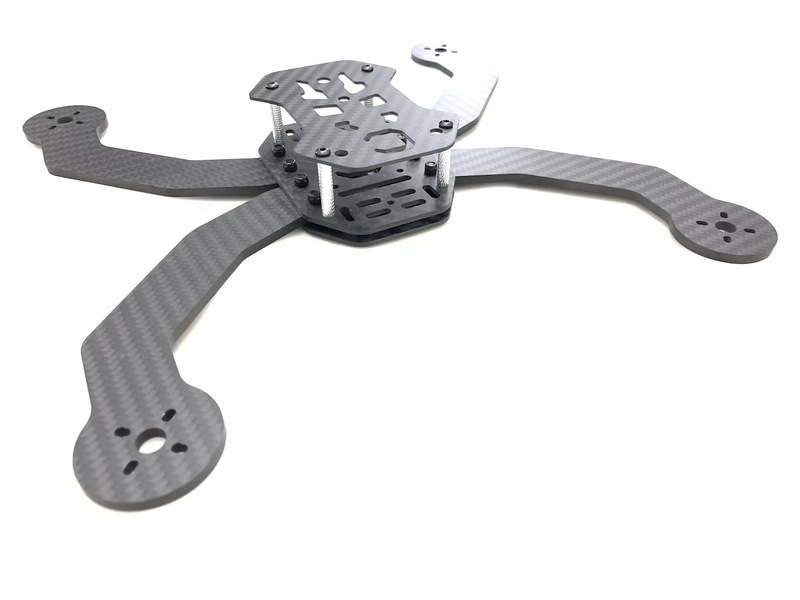 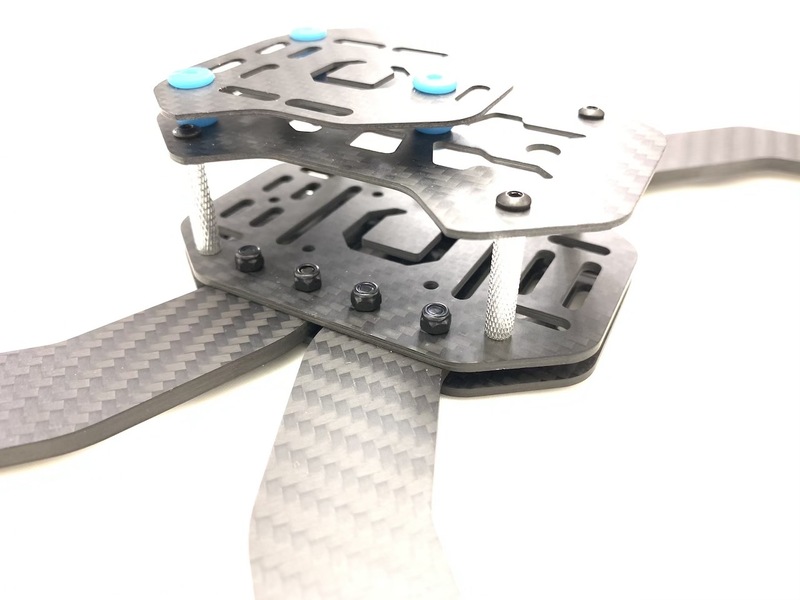 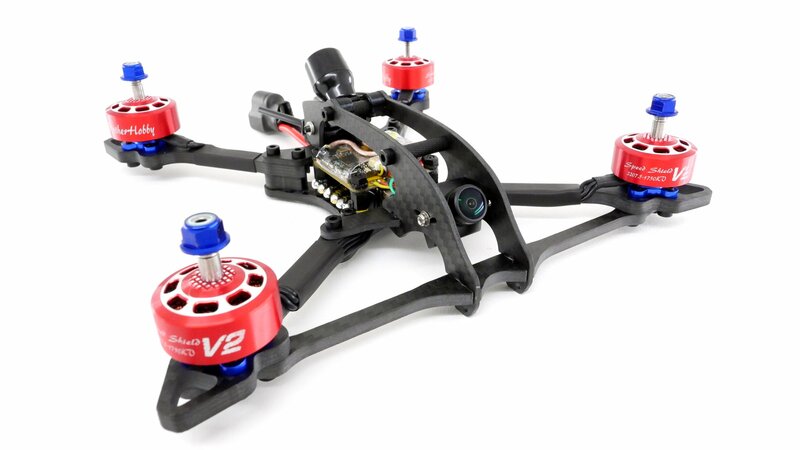 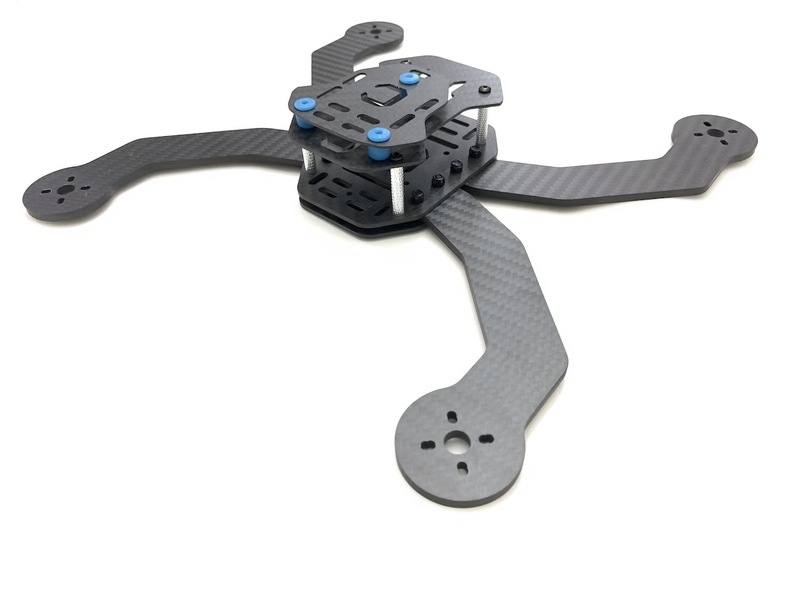 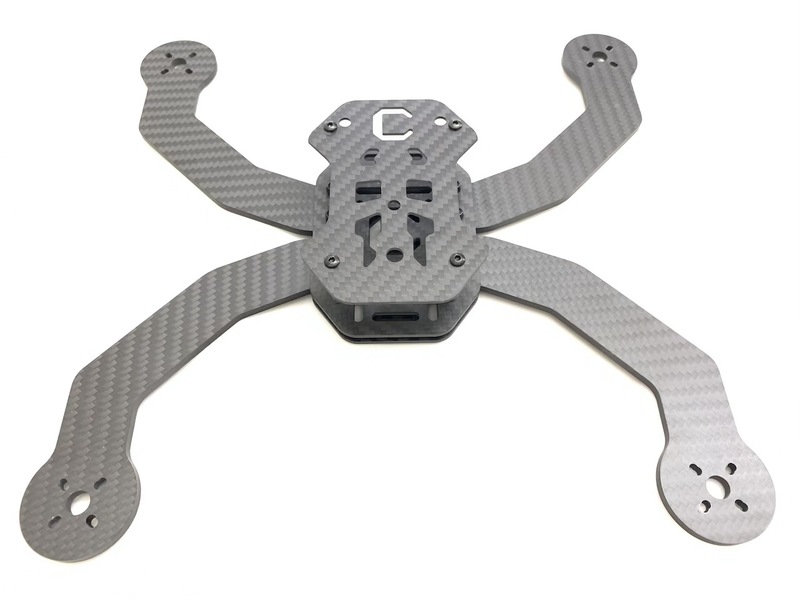 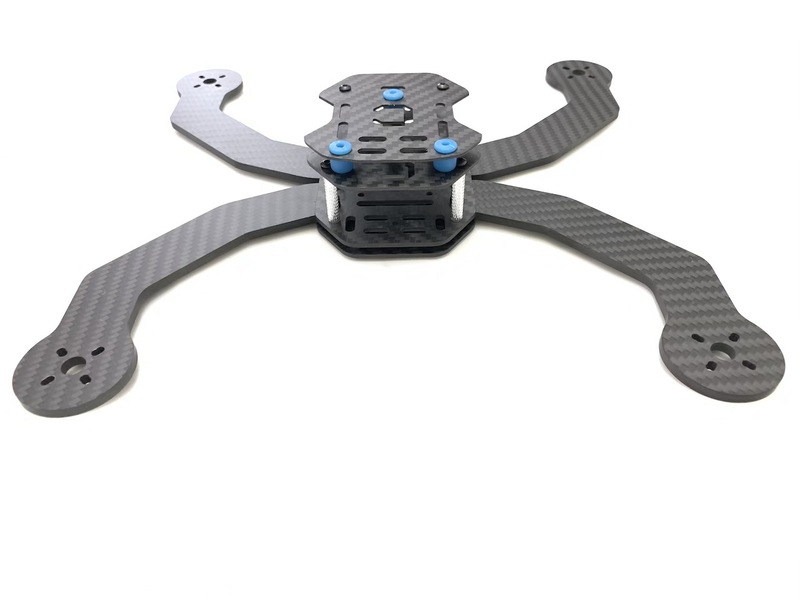 The Craze 310 is a very durable and very rigid long range FPV frame. 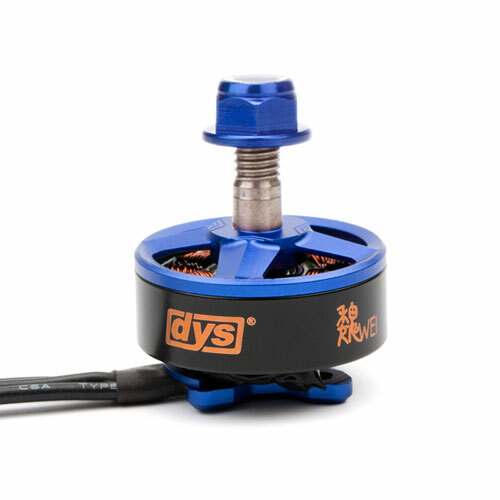 Perfect for a 5s or 6s build on 7" or 8" props with a high power power train. 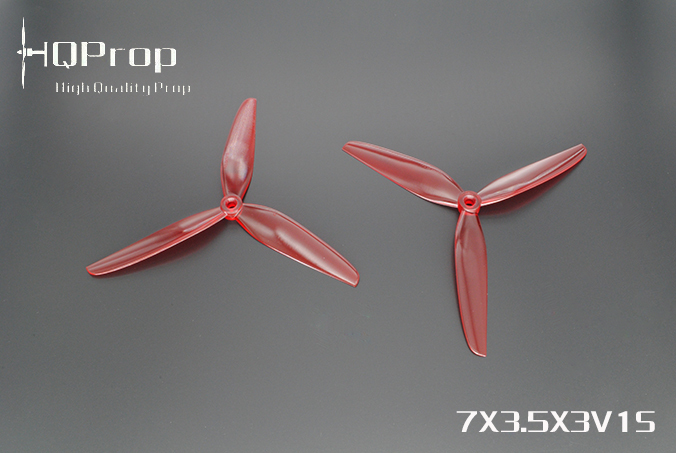 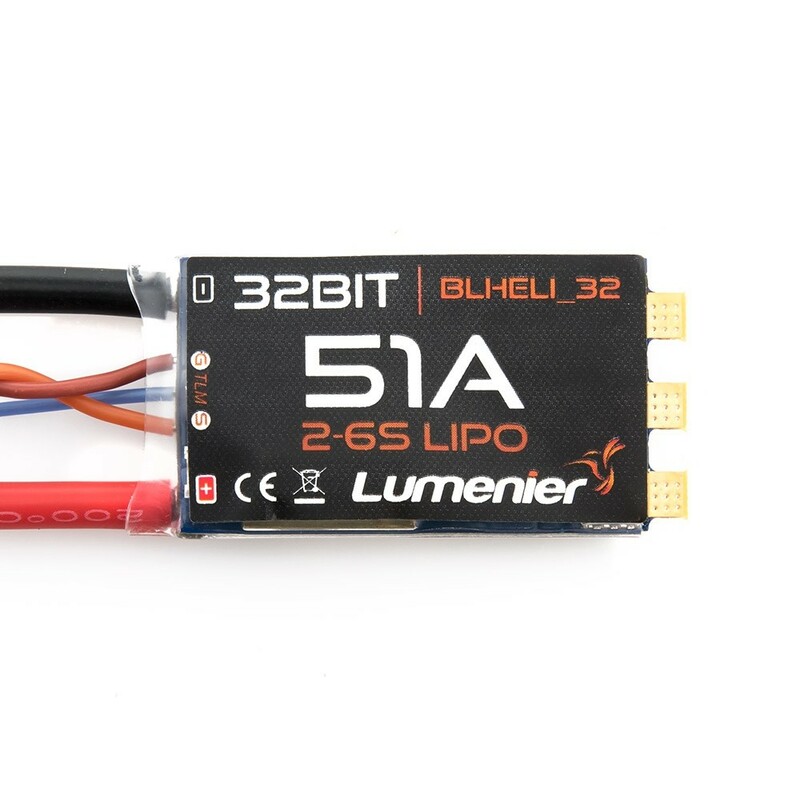 We like around 1600kv 2306 or larger motors with an 1800mah+ 6S pack flying 7" tri props. 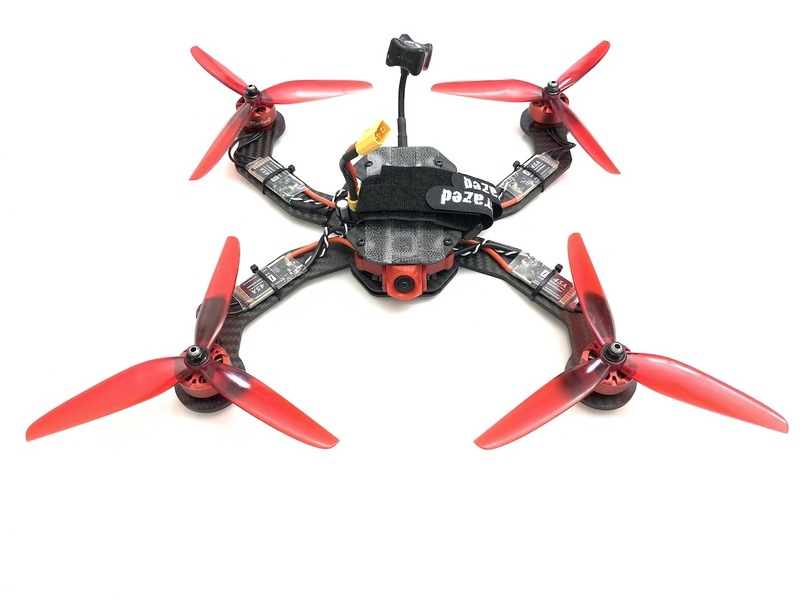 The video below is exactly this setup and as you can see even in a small space this thing rips! 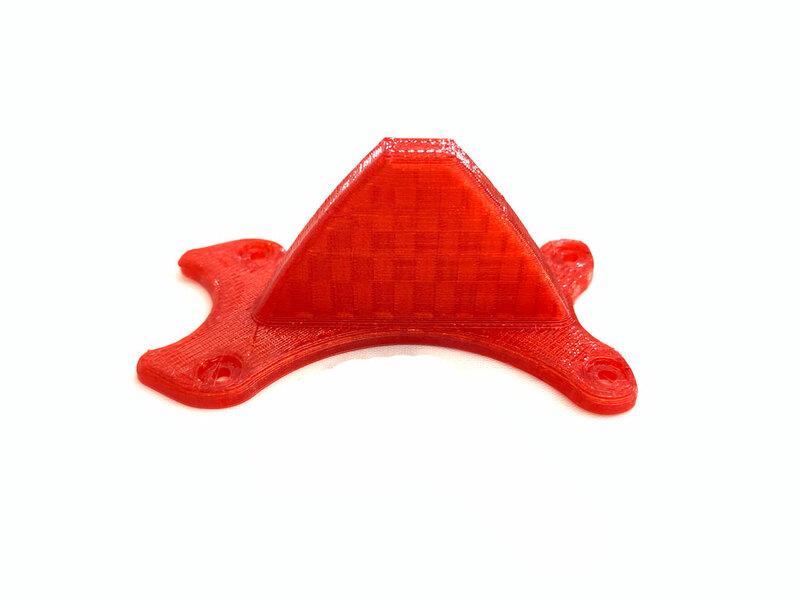 It handles very sharply and has no jello in the cam. 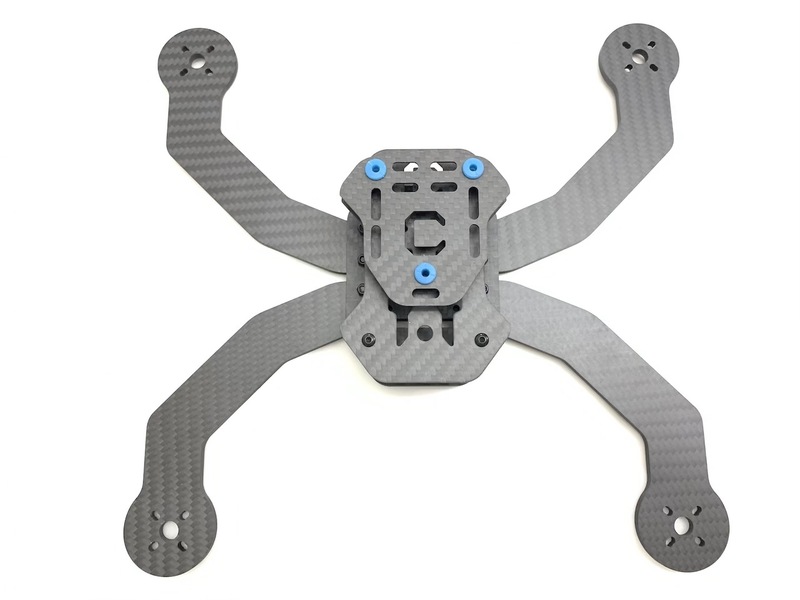 That is a testament to the stiffness of this quad. 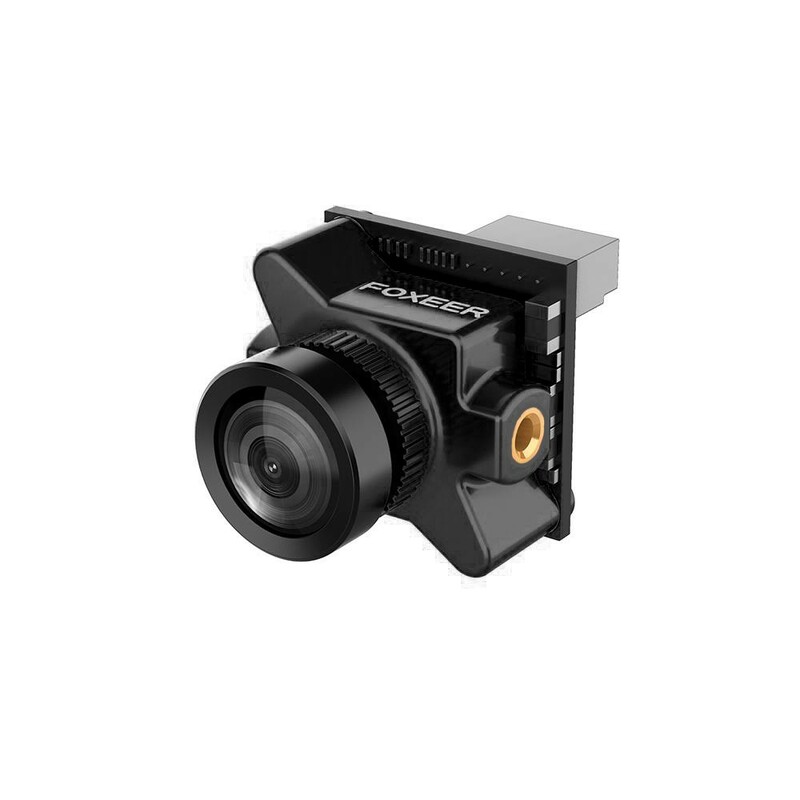 You can top mount or bottom mount your battery dpedning on your preferences and whether or not you will use a larger HD camera on top.